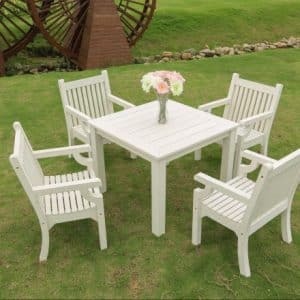 Finding imaginative gardening gifts can be a challenge. The landscaping team here at Holland Landscapes have compiled their Christmas wish lists. Some of their ideas are quite out of the ordinary. 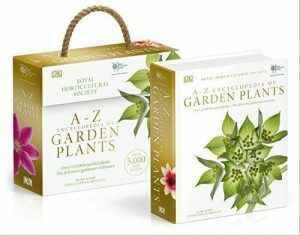 Here are Holland Landscapes’ top 10 gardening gifts. The best and most interesting answers are listed below in reverse order. PS: Where prices are mentioned, they are correct at the time of writing. But may be subject to change. 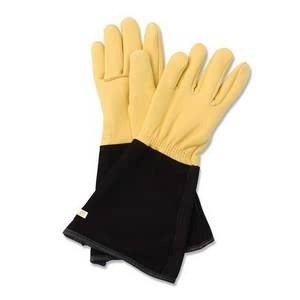 Good quality gardening gloves need to be hardwearing – especially on the finger tips. They need to be flexible enough so that they don’t restrict movement. And ideally, they should be waterproof and thorn proof too. They’re available in gentlemen’s’ and ladies’ sizes, are incredibly comfortable and protect wrists and forearms as well as hands. At £25.95 they’re excellent value for money. 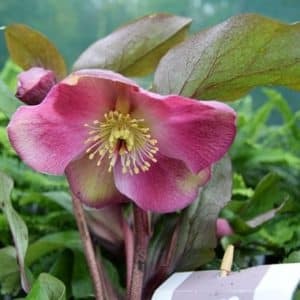 For good value and great quality plants to order online, try https://www.simplygogardening.co.uk/. The customer service team here are very knowledgeable and very helpful. The perfect way for any gardener to spend a rainy day. A cup of tea, shortbread biscuits and a copy of the ultimate guide to plants. This book is on offer at the moment with £15 off when you order from the RHS shop. Green walls and vertical planting are on trend at the moment. 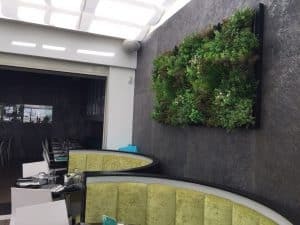 These artificial green walls from UK supplier Green Envee look amazing indoors or outdoors. They’re perfect for low light conditions where other plants struggle and they need minimal maintenance. Use as an art installation, to disguise a boring wall, create a talking point or brighten up a dull corner. You can even buy scented oils to infuse your room with natural perfume. You can never have too many cloches. They help warm the soil and speed up germination in early spring. They protect seeds from hungry birds and young plants from frost. These cloches have been specially developed by Harrod Horticulture to be useful almost all year round. 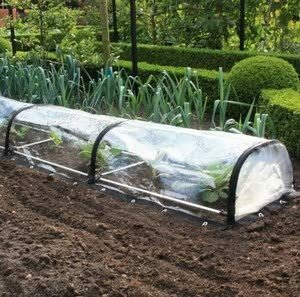 Simply remove the polyethene covers when the danger of frost has passed and replace them with insect-proof netting to keep pests at bay. Not a brand you’ll see in every garden centre but nearly everyone on our landscape maintenance teams said they’d be over the moon to receive any of these tools as gardening gifts. A firepit allows you to use your garden when it’s chilly. Buying one of these for a friend almost certainly guarantees you an invitation to toast marshmallows by the fire. 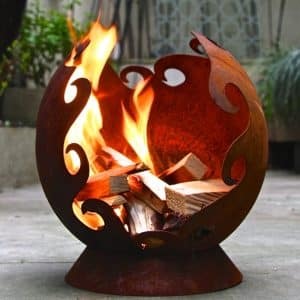 This UK supplier has a fabulous range of fire pits with prices from just under £60. Encouraging wildlife into the garden adds an extra dimension to the space. Birdsong, movement, the joy of watching baby birds fledge and fly the nest. It’s a great way to engage with nature. 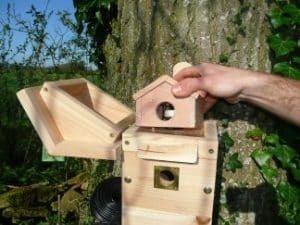 A bird nesting box provides wildlife with a safe haven. This one is available from celebrity naturalist Simon King who uses the profits from his online shop to help wildlife conservation. It has a miniature camera inside which connects via a cable to your TV so that you can watch the birds without disturbing them. There are some beautiful designs available from Greenenvee.co.uk https://greenenvee.co.uk. Call 0203 893 1110 for prices and delivery lead times. Has your gardener recently moved into a new home and not got round to tackling the garden yet? Has the family dynamic changed eg a new baby, older children gone to uni, homeowner less active? Maybe the shrubbery is overgrown and outmoded and you’d like help with a new planting plan? Perhaps it’s just time for a change? 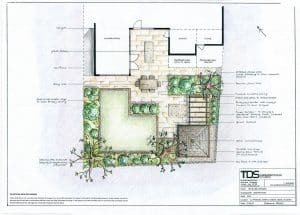 It’s the ideal opportunity to discuss ideas with a qualified garden designer, to get inspired and develop a unique, personalised garden plan. Visit the Tapestry Design Studio website to find out more about this award winning design team and how they can help you to give the best gardening gift ever. 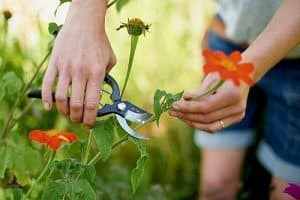 Need some ideas for winter gardens? Check out Holland Landscapes gallery of garden transformations in Suffolk and Essex. Many of these gardens use hard landscaping, strong features and clever lighting to provide beauty and practicality all year round.